Waste is a natural by-product of activity – it’s normal, it’s unavoidable, and it’s part of the process. It still remains a problem, though, and if not properly dealt with, can have very negative consequences. You need to deal with it in a structured way, but often this is easier said than done – in fact, considering the global trend of ecological awareness, rules and regulations have become stricter and stricter. For the better, of course, but still; how do you properly deal with matter which is no longer wanted and should be discarded as soon as possible? 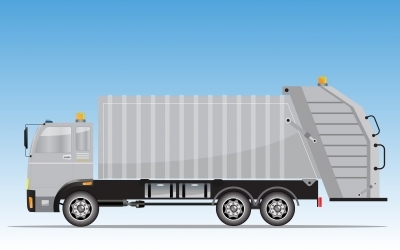 Finding the right waste collection service is a top priority. But where do you start? And what do you negotiate? To help you choose, here are the top questions to ask a waste collection service before choosing. The best way to find a good partner when it comes to a waste collection service is to list down exactly what your needs are – and this includes examining your own waste, how it must be stored, the amount, and how it can be disposed of. Being able to communicate your challenges clearly goes a long way to finding a solution. If you know what kind of waste you have to deal with, you can start asking questions regarding the logistics of it all. Must I have bins? Which containers should I use? Where should they be located? How much waste is there, and how often do I need to have it disposed of? What’s the schedule? Is there a need for a licence and possibly insurance? Ask your waste collection service what kind of price structure they use. Often prices depend on the amount in weight or volume, but sometimes the price is determined by the number of trips. There are often premiums and discounts, so get informed. Is there any heavy lifting? Are there materials they won’t accept? Should I donate? Here’s the good news: if you’ve got lots of waste to take care of, then chances are you’re being very productive, and that’s always positive. On the other hand, the bad news may be that you’re either not very economical and don’t have the proper rubbish disposal system figured out yet, or you haven’t met the right waste collection partner yet. Either way, it pays to look into the matter and see how your waste disposal can be improved. It’s important for the environment, but it’s equally important for your business. Cleanliness is next to godliness, after all, and a business that takes care of what should be discarded in a proper way is a business that deserves credit for being efficient and responsible.